Real estate is a complex industry. Besides saving time and hiring for expertise, often times the number one reason why people hire agents (who act on behalf of busy brokers) is out of legal requirement by the state. Franchise brokers pay dues in exchange for support to their parent franchisor, whereas independent brokers have more autonomy with fewer resources. Real estate transactions involve a number of moving parts including loans, large sums of cash, contracts, contingencies, and liens — to name a few. States want to make sure home buyers and sellers are protected from fraud. Depending on the state, there are specific requirements for who is allowed to handle specific parts of the transaction. The most common player in the real estate transaction is the broker. Codes and regulations governing real estate change so often that the real estate industry is built around the brokerage model. Brokers are real estate agents that have completed additional hours of continuing education beyond the standard requirement. A broker is allowed to act as a single-agent business; however, due to increased workloads and legal complexities, real estate brokers usually have agents working under them. Although it may be difficult to visualize at brokerages with hundreds of agents, all real estate agents act on behalf of the broker who represents home buyers and sellers. But not every brokerage is built the same! You may have heard of brands like Coldwell Banker, Sotheby’s, or RE/MAX, but what are differences between these franchise brands and your local independent broker? In this article, you’ll discover the unique strengths and weakness between a franchise and independent brokers. Armed with this knowledge, you’ll have a better idea of how to choose the right broker. Although a single broker-agent is allowed to practice alone, they often employ agents to work under them to handle heavy workloads, represent other transactions, or simply cover for other busy agents. Starting your own brokerage is not easy, so oftentimes broker-agents will open a franchise brokerage and pay dues in exchange for support to their parent franchisor. Clout. One of the biggest strengths of a franchise broker is brand recognition and an established track record. National franchises like Coldwell Banker are household brand names with the combined strength of hundreds of agents, coaches, title officers, and industry partners. Support. With a franchise broker, you can expect the luxury of a large referral network. A franchise broker can access a national database of mortgage officers, home inspectors, and attorneys to name a few. Agents. Franchise brokers have a unique edge: They have a larger support system to train their agents with formalized and structured training. In addition to a refined onboarding process, newer agents have access to more listings, sales training, technology, and marketing tools. Technology. On the customer side, an agent’s technology tools at their disposal may not seem like a strength, but better access to tools and support can mean the difference between an easy transaction and poor customer experience. LeadingRE (also known as “Leading Real Estate Companies of the World”) is a nationwide network of independent and franchised firms. LeadingRE members uphold some of the strictest standards in real estate practices to retain membership. Sometimes seasoned broker-agents will break out and launch their own independent brokerage. This often happens when multiple independent brokers come together to share experience, resources, and referrals. Independent brokers have several unique advantages. Individuality. With corporate structures come branding guidelines. Franchise brokers are limited on how they operate, brand, and market themselves. Independent brokers have the freedom and flexibility to run their own business, develop their own voice, and grant their agents more autonomy. Education. Franchisees experiment less compared to their independent counterparts. Corporate rigidity means less freedom to put dollars behind newer customer experience initiatives like free first-time homebuyer seminars, which independent brokers routinely host. Commitment. 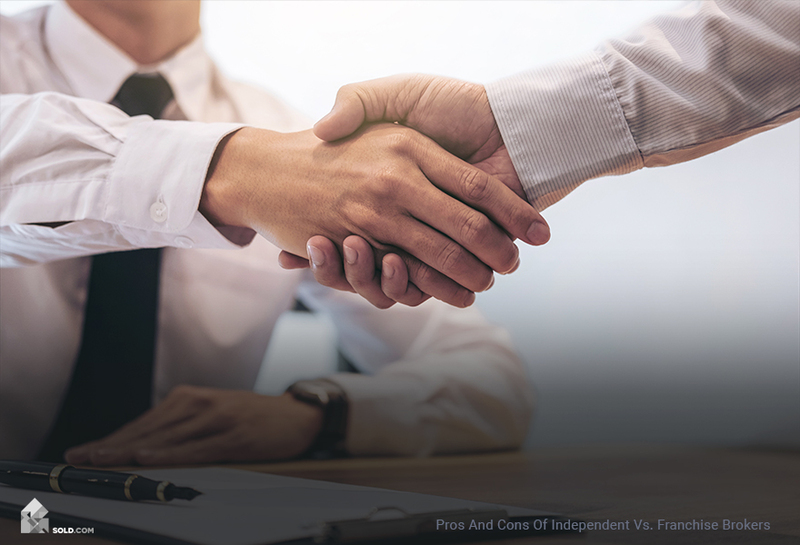 Whereas franchise brokers have higher overhead and may be less flexible when negotiating their commission, independent brokers want to ensure you have the best possible experience (even if it means working off-the-clock!). Market knowledge. 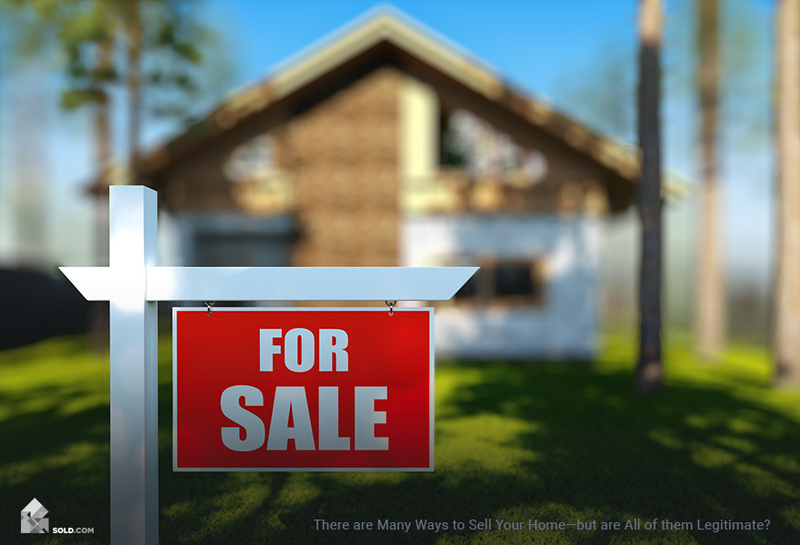 Home buyers and sellers may feel franchise brands are not “community oriented” since franchise brokers often answer to out-of-market (and even out-of-state) franchisors. Independent brokers have an in-depth market knowledge and are more likely to be active in their communities. Start your search with NRT, the largest real estate conglomerate that owns most major residential and commercial franchises in the US. In addition, NRT also has plenty of independent residential brokerages in their portfolio. Much like national banks versus local credit unions, franchise and independent brokers have differences as well as commonalities. Whether you choose a to hire an agent from a national brand or your local brokerage, you can expect a few similarities. Access. 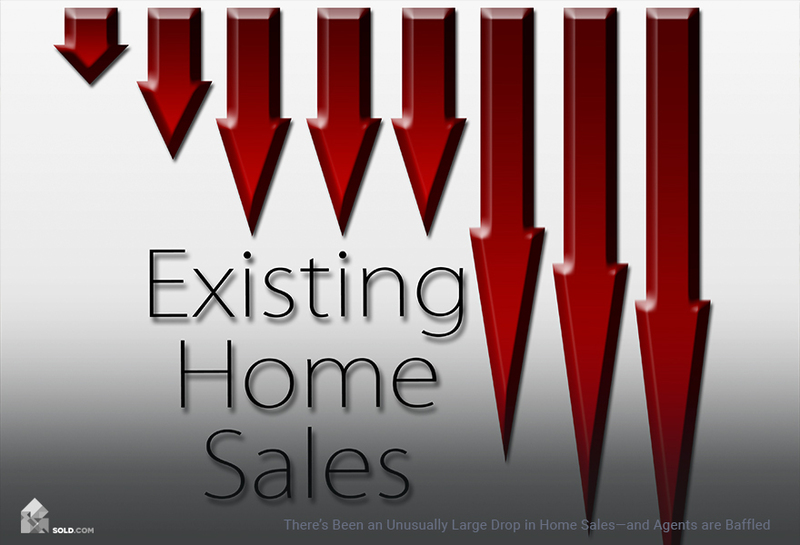 Every broker has access to the MLS. Although pocket listings are often shared within the specific office, any agent can access the same databases of listings as the other agents down the street. Professionalism. Brokerages and even specific offices are not cut-throat competitors. Regardless of their affiliation, agents and brokers are professionals and communicate regularly with other brokerages. Compliance. Brokers take their legal responsibilities seriously. Although some agents may have an ‘aggressive’ sales style, rest assured that their broker is holding them accountable for their actions. Growth. Agents are always looking to perfect their craft. Brokers will often pay for coaching and training sessions for their agents, and agents will often attend conferences and expos to learn about the latest technology. Associations. Although the National Association of REALTORS® (NAR) is not a brokerage, about half of all REALTORS® work for independent brokers. You can expect agents at either type of brokerage to be active members of a professional real estate association. Although a single broker-agent is allowed to practice alone, they often employ agents to work under them to handle heavy workloads, represent other transactions, or simply cover for other busy agents. Starting your own brokerage is not easy, so oftentimes broker-agents will open a franchise brokerage and pay dues in exchange for support to their parent franchisor. Sometimes seasoned broker-agents will break out and launch their own independent brokerage. Despite their larger support structure and agent-onboarding process built on best practices, franchise brokers face a few challenges, including higher overhead and less individuality. Yet what makes an independent broker unique is also one of their biggest hurdles. They have fewer resources, and agents may not use the latest technology solutions to manage their business. 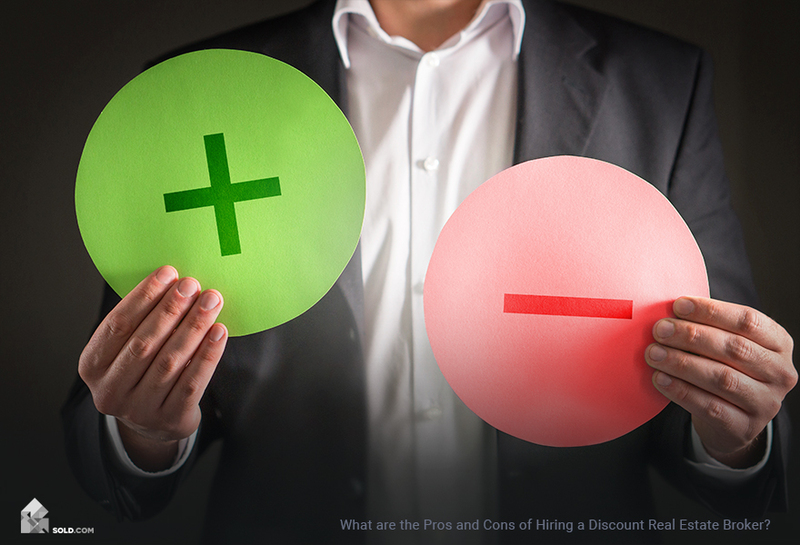 What are the Pros and Cons of Hiring a Discount Real Estate Broker?